Lace is probably everyone’s favorite way to add a delicate touch to any look. Come summer, lace is everywhere and really whatever your preference is, you can wear a lace top, lace skirt, lace dress, lace shorts…you get the idea. 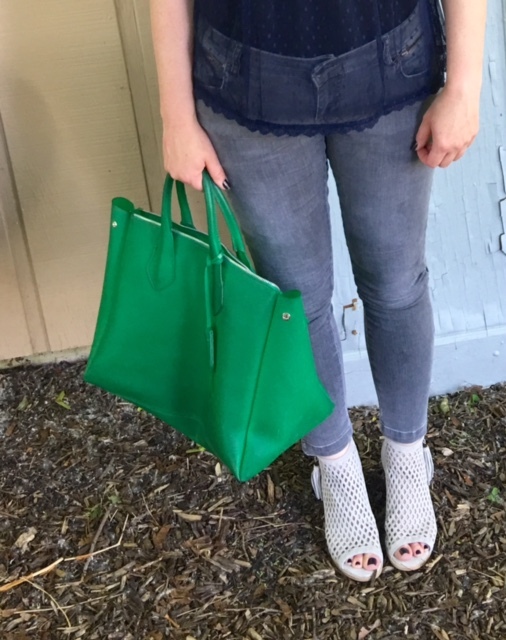 Some pieces are obviously more intricate and come with a bigger price tag, but if you want to get just one item and not spend a fortune, think no further and visit Forever21, which is where I got this navy top. Wearing: Forever21 lace top (sold out, but check out this one; it’s very similar and so beautiful! ); Anine Bing jeans; Matisse ankle booties; Gianni Ferragni bag.